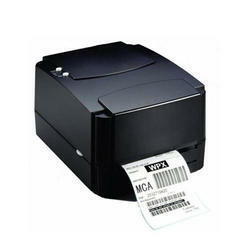 We offer various kinds of Barcode Printer. Our company is authorized for TSC, TECH, TVS, ZEBRA bar code printer. The printers we offer are enriched with latest technology. We know the requirement of our customers. With the touches of advanced technology our printers have become able to perform well. Because of having all kinds of latest features, all the printers that we offer have become reputed in the market. Zebra upgraded its Z series printers and the Zebra Barcode printer. 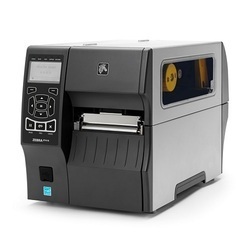 (Zebra ZM 400) is your best bet with its up-to date and bonus productivity-improving features. To help business applications and mechanized warehouses, the Zebra ZM 400 offers an adaptable network connection, making it easy to integrate with the system. It is quite straightforward to maintain and operate and load. It has a big LCD and hardy metal frame for harsh environment. It has 8 MB of flash memory and 16MB dram. 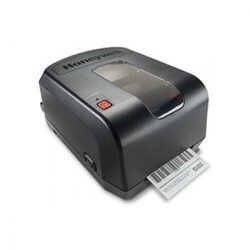 The Desktop Label Printer (Zebra TLP 2844) is a compact little printer that solves your space problem and is the perfect model for medical labs and health cares , inventory control, e-commerce postage, logistics and transportation. It has USB interfaces, and is parallel and serial, thus making it dependable, accommodating and reasonably priced. You can locate supplies for almost all the countries and can download the user manual, which are the bonuses. It has a head up sensor and can be used by Windows drivers – XP, 98, 95, ME, NT4.0, NT2000. Along with the ZM 400, the Zebra ZM 600 Barcode Printer has a lot to offer as well. The commercial and industrial warehouses use the Zebra ZM 600as it prints out 6” labels which best suits them. It is also well known for its speed, printing 10 inches per second. It has two modes of direct thermal and thermal transfer. It also has a real time clock and is automatically calibrated. 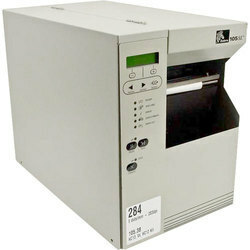 The Zebra S4MBarcode Printer belongs to the Stripe series and has a metal encasing. It has the capability to encase an entire 8” roll of Zebra tags. It is reasonably priced and is designed in such a way which makes operating it easy. 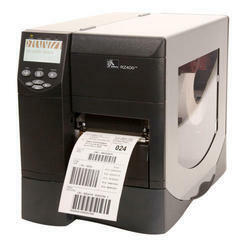 The Zebra S4M Barcode Printerhas the usual parallel, serial and USB connectivity. Other than that, it has the option of internal Ethernet and wireless networking, making it easy to monitor remotely. For all those who want to be guaranteed consistency, efficiency and finer support and service, the Zebra 105 SL Barcode Printers will serve all your needs. It has a hardy metal encasing, along with an improved memory and capacity of processing makes it a superior choice. It has a wireless connectivity, thus allowing you the freedom of movement. The Zebra 105 SLhas maximum speed of 203mm/second and is also equipped with a real clock, located internally. 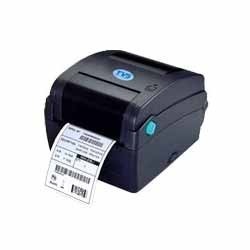 To ensure that you get the best quality printing for applications that involve labeling, the Zebra TLP 3842 Barcode Printer is your best bet. For the production of two-dimensional barcodes, composite graphics and fine text is necessary which the Zebra TLP 3842promises to provide. The tags produced are mainly used for labeling bottles, lab specimens, jewels and lab vials. It has an open access design and also has a head-up sensor. 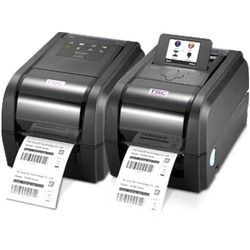 The TSC 244 Plus Barcode Printer is one of the most popular and low-priced printers that has a commanding processor and an impressive memory. The best thing about it is its two year warranty period and the fact that it is flexible to fit in a 300 m ribbon that keeps the cost of operation low. Its printing speed is fast and within its small shell resides a double motor. It has a memory of 4MB flash, extendable to 8MB with SDRAM. 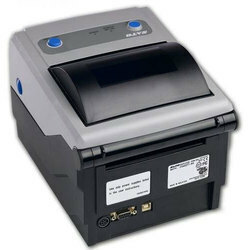 The Sato LM408 412e Barcode Printer belongs to the SATO series of LM4e and is a perfect suit for those who have a limited budget, especially for those who have just started with a business. It has the advantage of increasing its memory. The print method is either thermal or direct transfer. The SATO LM408/412e is usually favored for tracking assets, logistics, cross-docking, retail labeling, pallet labeling, lab labeling and others. 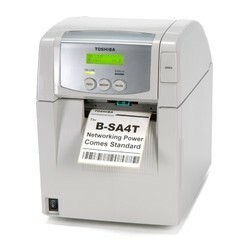 The stature and the functions of the Toshiba TEC B SA4 Barcode Printer is that of an industrial printer but it performs with the ease of a desktop printer, which is a great advantage. With this printer, you can oversee an entire printing network from a pivotal source. It is a very office choice. It is equipped with both the cutter and strip module, and has both serial interface board and wireless LAN board. LAN (100 base) and parallel connectivity. Media Window Media: up to 6.0"
The Toshiba Barcode Printer (Toshiba B-SA4TP) is well known for its high speed which eventually leads to an increased competence and output. It can be easily handled and requires very little training and thus saves a lot of time. The stature and the functions of it is that of an industrial printer but it performs with the ease of a desktop printer. It has a very low servicing and maintenance cost. It has a printing speed of 152.4 mm/second. 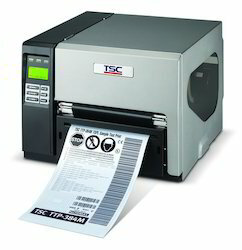 The TSC Barcode Printer (TSC LP 44) is best suited to print stickers, labels, price tags, merchandise labels, address labels, shipping labels and others. Being endowed with the bartender software, which is free, you can create your own set of tags for each different product. The dual motor gear reduces the chance of paper jamming. With a flash memory of 2MB and dram each, downloading and storing of data becomes easy. The SATO CL-408e Barcode Printer belongs to the series “e” belonging to CL printers and makes use of thermal label printing technology. It is equipped with a cutter, dispenser, rotary cutter, rewinder, an internal real time clock and calendar. With all the above equipments, the printer generates a very high speed while transmitting data and also has a good processing speed. Its memory can be expanded and it is usually used for tracking assets, logistics, cross-docking, pallet labeling and lab labeling. 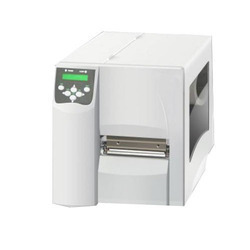 In the SATO CG Barcode Printer model, the SATO CG – 408/412 is the best of lot, as it is priced at a very reasonable rate while at the time putting up a good performance. To continue with its good performance, it has an anti-microbial casing complete with optimal interfaces and competitive emulations. It has a print width of 4.1” and is equipped with a cutter, real time clock, dispenser and linerless kit. 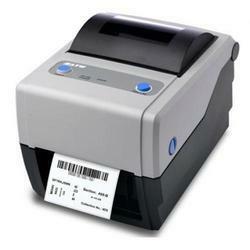 It is mainly used for wristband printing, office mailings and merchandise labeling. Movable Black Mark Sensor – Ideal for Cinema Ticketing & Amusement Parks!